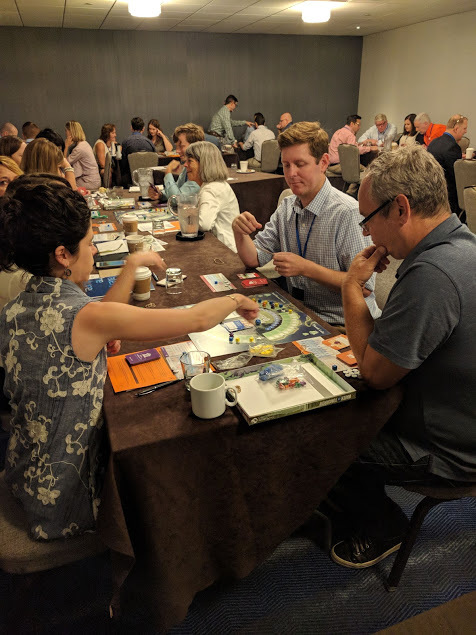 The Nature Conservancy presents a new collaborative board game, in which participants role play as different types of stakeholders and collaborate (or compete) for the access they need to clean local waterways (access more useful TESA games and tools). Our primary goal at the Urban Waters Learning Network (UWLN) is to find innovative ways to connect people and share resources. This year, we added a new conference to the mix — the One Water Summit, hosted annually by the U.S. Water Alliance. This July 2018, it was held in Minneapolis, close to the headwaters of the Mississippi River. Coming together with the Urban Waters Federal Partnership and the EPA’s Office of Water, we formed a delegation of fourteen individuals. The Urban Waters Delegation comprised one representative each from Groundwork USA and River Network, UWLN members (representing non-profit organizations from cities around the country), and federal employees from EPA offices, including the Office of Water, the Office of Community Revitalization, and the San Juan Bay Estuary Program. To put it in my own words: One Water describes a holistic, interdisciplinary approach to water. It has to do with understanding the many different ways in which water is a necessary and vital part of our physical and cultural lives—and finding ways to work together to make clean water available to everyone as a basic human right. The workshops and events were hosted and attended by agriculturalists, farmers, scientists, representatives from municipal utilities and county, state, and federal agencies, non-profit workers, artists, lawyers, and people on the front lines — activists, community workers, and water defenders. At the Closing Plenary Session, each Delegation presents their Commitments to Action to all of the One Water Summit attendees. how to genuinely address community concerns without reinforcing oppressive institutional structures. Read the U.S. Water Alliance publication An Equitable Water Future: a National Briefing Paper. Read Advancing One Water Through Arts and Culture: A Blueprint for Action, a report put together by the U.S. Water Alliance and ArtPlace. “We serve water to build relationships and transform culture.” The Water Bar, originating in Minneapolis, is a public art project that has been featured in exhibits and events throughout the country. 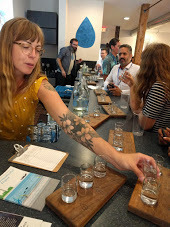 The Water Bar will return to the 2019 One Water Summit in Austin, TX. I’m happy to report that we’ve already started working on concrete steps toward these goals, beginning with many of the professional connections we made at the Summit. 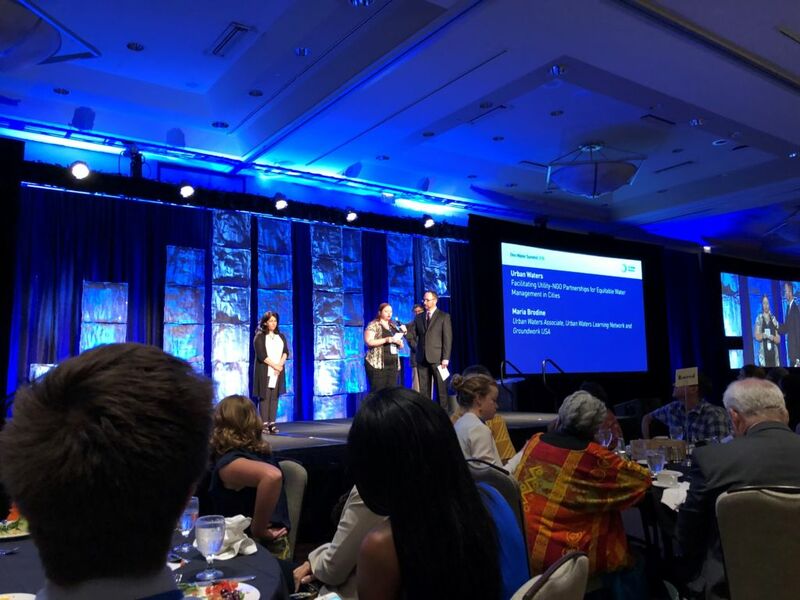 If you would like to work with us—or, if you’re interested in joining the Urban Waters Delegation for next year’s One Water Summit in Austin, TX—please email me directly at maria@groundworkusa.org.